widget shows the day, date and information related to the weather, including the temperature. 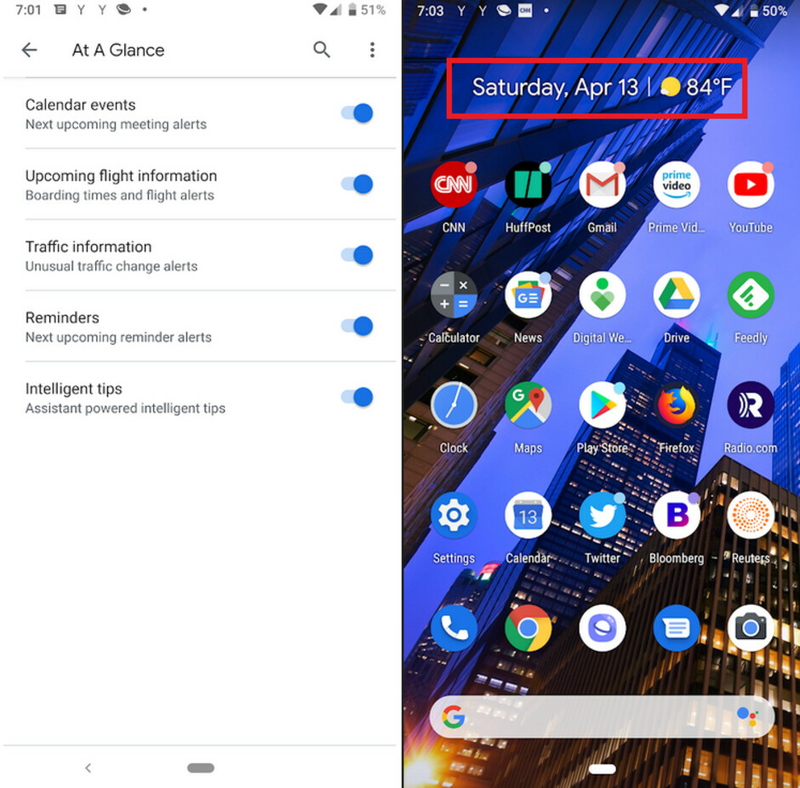 Tapping on the day and date will open the calendar while tapping on the weather information will take you to Google’s weather app. The widget also alerts you to a calendar appointment, an upcoming flight (including the boarding time) and unusual traffic changes.
. We’re guessing that these are suggestions about what features available on your phone use should use in certain situations. Right now, both of these new features are not working even though they are listed as preferences for the widget.